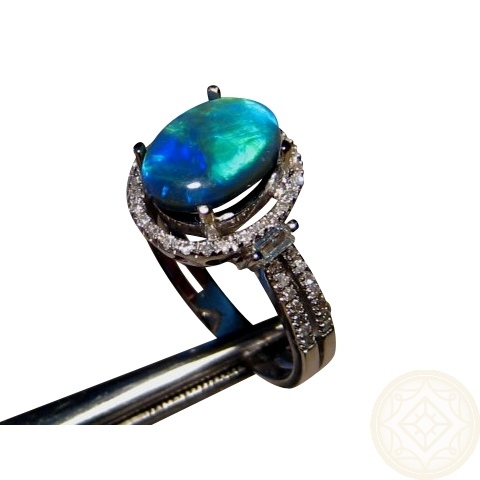 Oval Black Opal on a 14k Gold Ring with Diamonds. 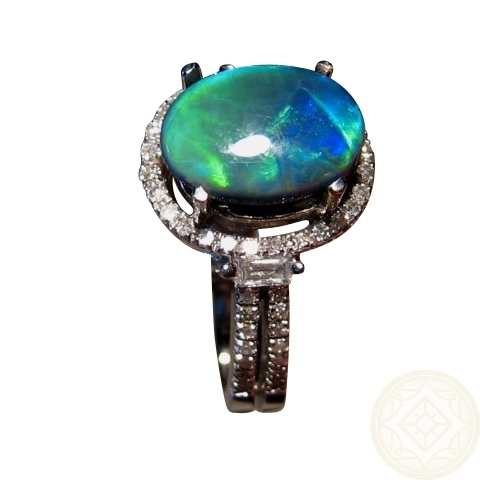 Stunning Black Opal Ring with Diamonds. 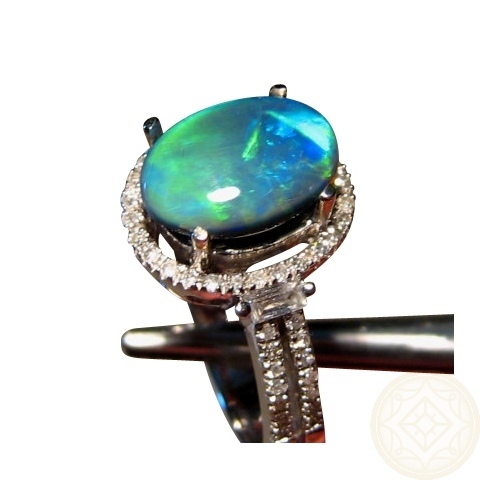 14k White Gold Ring will be prong set with this Oval Natural Lightning Ridge Black Opal with an unusual beautiful mix of color. 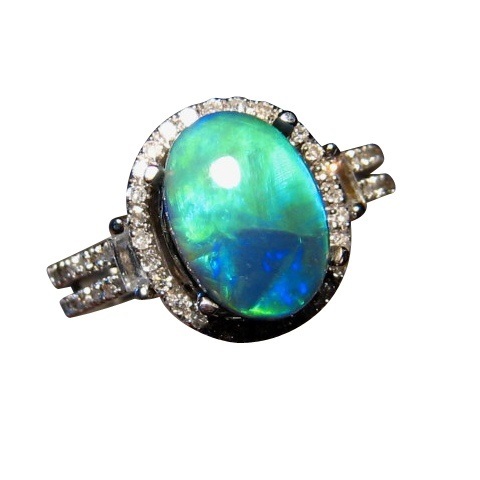 There are small Diamonds around the Opal, on the side of the setting and on each side of the Band. At the top of the each band is on Baguette Diamond accent. This ring is ready to ship as advertised or will take 14-21 days for a different Ring Size and Gold preference.